Sept 6-8 2013, The 16th annual CANADIAN FIREFIGHTERS MEMORIAL CEREMONY will be held in Ottawa, On. On Sunday Sept. 8. Registrations and sponsorships now open for the 2019 CFFF Golf Classic. Register soon. It will sell out fast. Click Here. Gather your friends, family and co-workers, and join us for a fun day of golf in support of the Canadian Fallen Firefighters Foundation presented by Comtech Fire Credit Union Limited! Post Tournament: Sit Down Sinner with Wine, Silent Auction and Awards Presentation. This years Fallen Firefighters Poker Run will be held on September 8, 2018. The ride will once again start at Heritage Harley-Davidson where we will have registration and breakfast set up for all riders and passengers that attend. $35 gets you registered in the run and one poker hand as well as an event shirt and entry into a door prize draw. Prizes will be given out to the best hand and runner up. The event has many great stops and will end at Rig Hand Distillery where you can tour the distillery and take pictures with your motorcycle(s) or group right beside the stills. There will be a BBQ and a chance to enjoy some music and socialize with other riders and firefighters from across the province. We will also be offering a new product from Rig Hand Distillery in support of the event where proceeds from every bottle sold will be donated to the CFFF. Come out and enjoy a day of riding and support a great cause. All proceeds raised will be donated to the Canadian Fallen Firefighters Foundation. Registration and breakfast from 8AM-10AM. The Toronto Professional Firefighters Celtic Society is embarking on a two day ride from Toronto to Ottawa covering close to 500km. This ride is in support of the Canadian Fallen Firefighters Memorial and is intended to raise awareness and donations for the memorial. The second annual Memorial Ride to Ottawa will be made up of riders from across Ontario that will leave on September 6 from Toronto Fire Hall 243 and finish on September 7 at the Fallen Firefighter Memorial in Ottawa. As you are aware, firefighter health and fitness is important to prevent work related injuries and line of duty deaths. To bring awareness to this, I will be running/jogging from Grande Prairie to Peace River in the month of June, 2018. This adventure will take me 4-5 days. I am selling legs of this journey to fire departments. 10km for $500. Total goal of $10,000. All of these proceeds will be donated directly to the Canadian Fallen Firefighters Foundation. If your department, firefighters’ association, etc sponsors a 10km portion, I will wear your department’s patch (if so provided) on my shoulder to recognize your generous donation. The final leg / 21st leg will be reserved for CFFF to recognize the many firefighters lost over the years serving their communities. I will also encourage any emergency personnel to join me in this adventure. In part, or in whole. Note: Act fast as more than half the legs have been sold already! Gather your friends, family and co-workers, and join us for a fun day of golf in support of the Canadian Fallen Firefighters Foundation presented by Comtech Fire Credit Union! Click here for full details. Register Now! Post Tournament: Sit down dinner with wine, silent auction and awards presentation. A class of Pre-Service Fire Fighting Students from Fleming College are looking to raise money to support the Canadian Fallen Fire Fighters Foundation by doing the 2018 BEL Polar Plunge. It is being held on February 4 2018 on Lake Chemong. More info and pledge sheets are available here. Training: Critical Incident & Stress Management (Individual AND Group), Strategic Response Planning and Best Practices. Muskoka (ON) Victim Services is pleased to announce an exclusive training opportunity in Muskoka! CFFF Director, Dr. Lori Gray, Clinical & Forensic Psychologist, from Frontline Resilience is an International Critical Incident Stress Foundation Instructor and will be providing training between November 29 to December 2, 2017 at Hidden Valley Resort in Huntsville, Ontario; Muskoka Victim Services is the host for the event. Direct all inquiries and registrations directly to Muskoka Victim Services. Registration is on a first-come / first reserve / with payment process. Details can be found attached, on the registration form. The ceremony will pay tribute to the over 1200 Canadian firefighters who have lost their lives serving Canada since 1848. The names of all firefighters added to the honour roll since the last ceremony will be read at the ceremony. In addition, special presentations will be made to the families of those firefighters who were actively employed at their time of death. Everybody come out and join us for the Fallen Firefighters Poker Run on September 9th, 2017. All proceeds are going to the Canadian Fallen Firefighters Foundation. There will be a door prize draw for all the riders that register as well as prizes for the best hand and runner up. 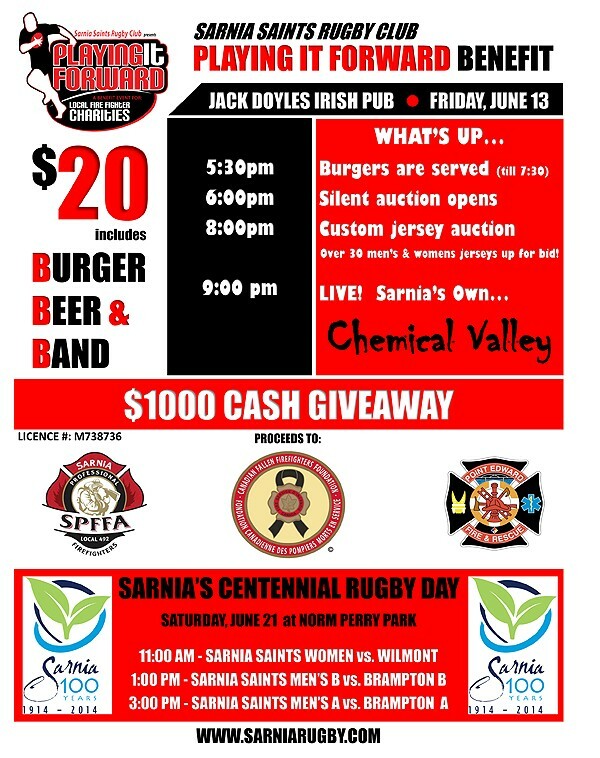 There will also be a 50/50 draw and live music following the event at Blackjacks Roadhouse. All riders will also receive an event shirt at registration and breakfast provided by Heritage Harley-Davidson. The ride involves many great stops including Rig Hand Craft Distillery where you will be able to tour the distillery and take pictures with your bike or group right by the stills. Make sure to save the date! The Firefighters Memorial Service at the Ontario Fire College will be held on June 24, 2017 at 14:00hrs. Muster at 13:00hrs. Full dress uniform is preferred but decent apparel will be allowed to march. Refreshments afterwards. For more information got to ffao.on.ca. Registration is now open for the 2017 CFFF Golf Classic. This year's tournament will take place on May 29th at the Royal Woodbine Golf Club in Toronto, Ontario. Click here for full details on Registration and Sponsorships! Please come on out and show some love and support by watching a fiery game of baseball between your nations's heroes, Ottawa Fire and the Capital City Reds. May 29, 2017 at 4:00 pm. Admission is by donation. 25% of all your donations will be shared between the Canadian Fallen Firefighters Foundation that was created to honour and remember firefighters that have died in the line of duty and to support their families. As well as the Neonatal Intensive Care Unit (NCIU) at CHEO, who in addition to providing hospital care to newborns in a 20-bed unit, also provide transfer of critically ill infants. The neonatal transport team is available 24 hours a day, 7 days a week to provide for safe and seamless transfer of critically ill infants to an appropriate unit. Your participation in this wonderful evening will help tremendously to those in need. Bring your friends and family and let's help pay it forward. Thank you! High school students free with sponsorship!! The CFFF is Proud To Support Camp F.A.C.E.S. We are excited to announce our plans for the return of Firefighter Appreciation Day (FFAD) to benefit The Canadian Fallen Firefighters Foundation (CFFF)! This year’s event, the 6th annual, kicks off on Saturday, October 1st, 2016 at Reebok CrossFit FirePower in Milton. Founded in 2009, FFAD has raised over $30,000 for the CFFF, a registered charity that honours and remembers firefighters who have been killed in the line of duty, and supports their families. FFAD is a fitness challenge like no other! The idea is to provide average civilians an opportunity to experience the physical de-mands that a firefighter faces every day on the job. It’s also a chance for current firefighters and other 911’s to test their cur-rent fitness levels and see how they measure up! With the support of the Milton Fire Department, Toronto Fire Services and Toronto Fire Union who donate supplies and equip-ment, teams of 4 compete in a series of workouts that simulate various scenarios. These workouts require strength, endurance, and team strategy. Auction/Prize Donations – gift certificates, event tickets, dining, electronics, etc. Vendor Participation – join our vendor village, great promotional opportunity! To confirm your support of FFAD or for more information on how you can get involved, please contact Jennifer Young by phone at (647)239-3525 or by email to turtle@reebokcrossfitfirepower.com . For more information about FFAD or the CFFF, please visit: www.firefighterappreciationday.ca. Thank you! The 2016 Canadian Firefighters Memorial Ceremony will take place in Ottawa, Ontario on Sunday September 11. 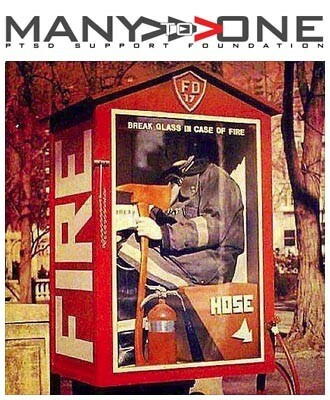 This years Honourary host will be the Office of the Fire Marshal and Emergency Management for the Province of Ontario as they celebrate 100 years in existence. More details on schedules and sponsorship opportunities will be made posted on the ceremony page as they become available. Why: This stair climb commemorates the loss of 343 firefighters and 70 law enforcement members that died on Sept 11, 2001. The challenge is to retrace the ascent (and descent) of the 110 stories of the WTC – this equals 10 “laps” of The Lethbridge Center Tower. The Stairclimb is a physically demanding activity in that the goal is always to achieve a climb (and descent) of 110 stories. This distance is the equivalent distance of the height of the World Trade Center as it stood before the attacks of 9-11. It is believed that many rescuers would have made a similar climb that day and unfortunately many never returned home. We make this climb in order to honour those we lost in the line of duty and to ensure that we never forget them. Participants are encouraged to ask for sponsors in the form of pledges in order to raise money for the Canadian Fallen Firefighters Foundation. This Sunday, September 11th, Milton Fire Department - a huge supporter of FFAD and the CFFF, will be holding a Charity Car Wash at Station 1, 405 Steeles Ave E, Milton, ON L9T 3G6. The even tis from 9am to noon. If you are close to Milton, come by for an hour or 2 to volunteer at the event &/or get your car washed!! 100% of the proceeds for this day will go DIRECTLY to the CFFF on behalf of Milton Fire. The CFFF will be attending The Alberta Fire Chiefs Association Trade Show at The Grey Eagle Resort & Casino, Calgary, Alberta. Sunday, May 29th and Monday, May 30th, 2016. Stop by our booth and say hello at the 2016 Northern H.E.A.T. in Peace River, AB May 4-7. Many thanks to the organizers of this event for inviting the CFFF to attend. 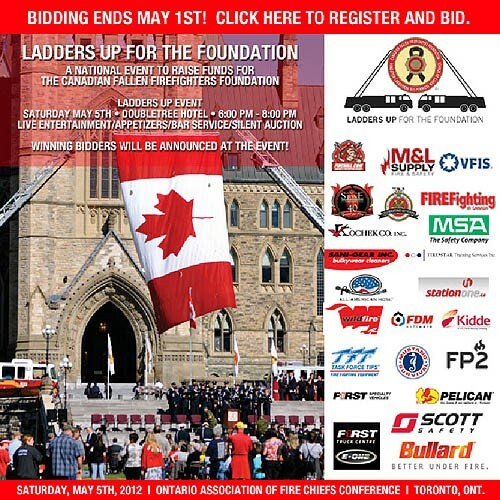 Ladders Up for the Foundation is a charitable event and online auction held annually to raise funds for the Canadian Fallen Firefighters Foundation. The event takes place every spring during the Ontario Association of Fire Chiefs Conference in Toronto and features live music, great food, prize draws and immeasurable networking opportunities. In the months leading up to the event, companies and organizations donate goods and/or services, which are then posted on our auction website. Many fire personnel visit the auction website to bid on the donated items. Funds raised from the auction and during the event go to support the Canadian Fallen Firefighters Foundation, which honors firefighters who have been killed in the line of duty and to help support their families. Every dollar raised from this event goes towards the foundation’s education fund for the families of fallen firefighters. Since the inception of Ladders Up, we have raised more than $100,000 for this important charity. The 2016 Ladders Up for the Foundation reception is on April 30th at the Crowne Plaza Hotel located at 33 Carlson Court in Toronto from 7 p.m. to 11 p.m. The online auction launches on March 1st. Donating is easy! Complete our online donation form at www.oafc.on.ca/ladders-donation-form. Once you complete the form, we will be in touch with you. For more information about the event you can contact one of our committee members listed below, or visit our website at www.firefightingincanada.com/laddersup/. Thank you in advance; we hope you will consider supporting this great event! Thank you to everyone that stopped by by our booth and said hello at the 2016 OAFC Trade Show in Toronto April 30 - May 2. CFFF Directors Bill Stewart (l) and John Clare man the CFFF booth at OAFC trade show. Friday April 22, 2016 from 5-10 pm. 50 Courtneypark Drive East, Mississauga, ON. Stop by our booth and say hello at the 2016 SAFC Conference in North Battleford, SK April 14-16. Many thanks to the organizers of this event for your ongoing support of the CFFF. CFFF Director Dr. Lori Gray will be one of the keynote speakers at this event supported by the Canadian Mental Health Association and #ivegotyourback911. The CFFF will be in Gander, Newfoundland at the Newfoundland & Labrador Association of Fire Services annual conference and trade show. Please drop by and visit our booth at the show on Friday or Saturday. All firefighters of IAFF local 237 and individuals from the general public are invited to participate in this event in a gesture to observe and honour those brothers and victims that were lost on September 11 at the site of the WTC attacks. The idea of this stair climb is to retrace the ascent (and descent) of the 110 stories of the WTC – this equals 10 “laps” of The Lethbridge Center Tower. Members can approach this task in anyway they prefer; gym strip, turn-outs, team, timed, etc. but please take your own level of fitness and comfort into account. You are not obligate to get pledges to participate in this event but if you can convince friends and family to support your climb through any sort of donation it would be much appreciated. MEMORIAL CEREMONY will be held in Ottawa, On. On Sunday Sept. 13. See the ceremony web page for details. The Canadian Forces Fire and CBRN Academy (CFFCA) will be hosting the 43nd NDFS Annual Golf Tournament at the Circled Pine Golf Course of CFB Borden (16 Wing) (Ont.). In order to raise funds for the event, the Golf Tournament Committee is canvassing businesses for “Hole Sponsorship”. The sponsorship fee per hole is $200.00. In exchange for the sponsorship, the business will receive an 18” x 24” sign that will be displayed at the tee off area of the hole sponsored. The cost of the sign is included in the $200.00 fee and the sign will display the name of the business involved. Your cooperation and assistance in “Sponsoring a Hole”, or contributing a donation to our prize table is greatly appreciated. In addition, please accept this as an invitation to your company to participate in our tournament. It will be a 4 person scramble format with a Shot Gun start beginning at 8:00am. We will be accepting 120 golfers, so please reply as soon as possible to reserve your place. Tournament costs are $100.00 per person, which includes your golf, power cart dinner and prize table. The CFFF will be at the B.C. Fire Chiefs trade show in Penticton, BC. Drop by our booth to purchase Foundation merchandise. In June 2015, the FCABC Conference and BC Fire Expo returns to Penticton and the Sunny Okanagan. To enhance this event we invite you to take part in our 1st Annual FCABC Charity Golf Tournament. 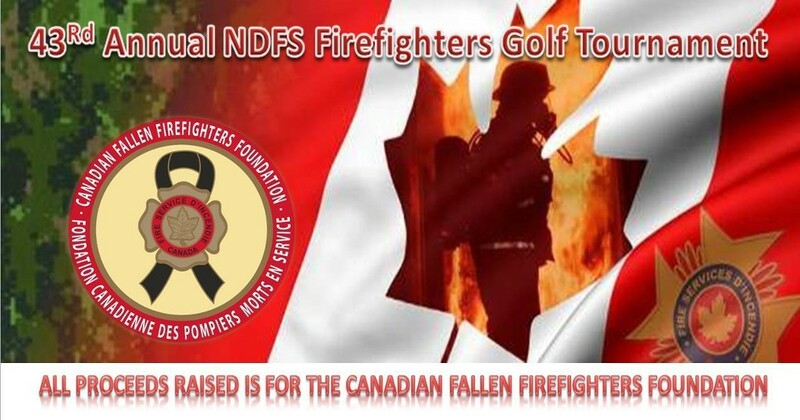 Unlike in previous years, this golf tournament is hosted by the committee as a fundraising event and we are pleased to say that all proceeds for this year will benefit the Canadian Fallen Firefighters Foundation. If there is a desire, we may hire a bus to provide transportation to and from Penticton (so you don't have to drive) for a small additional charge. There will be a steak dinner buffet following the tournament and tickets will be available for just the dinner for those non-golfers wishing to join us. The CFFF will be at FDIC Atlantic in Wolfville NS. Drop by our booth to purchase Foundation merchandise or to find out more about the Foundation. 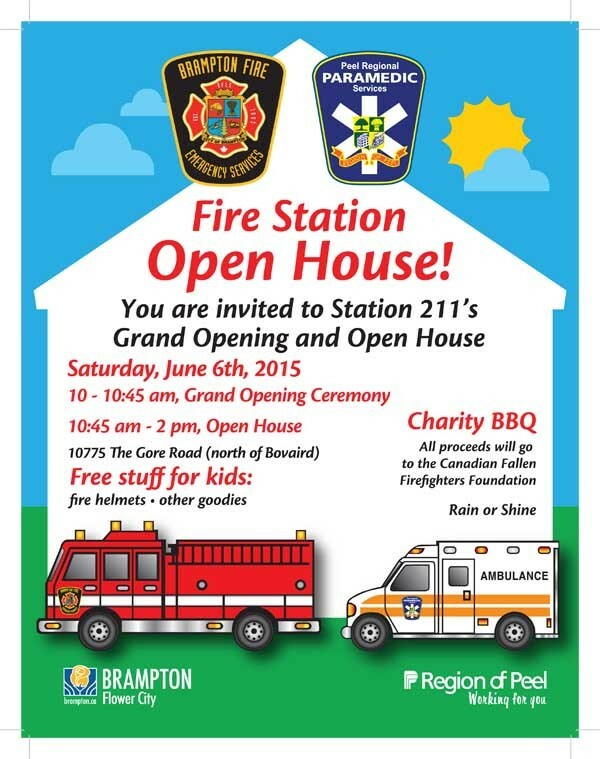 Join us on Saturday June 06, 2015 for the Grand Opening of Brampton Fire & Emergency Services Station 211. Our annual Fire Station Open House, in support of the CFFF, will follow the Grand opening Ceremonies. Hope to see you there! The CFFF will be at the Manitoba Fire Chiefs trade show in Scanterbury, MB. Drop by our booth to purchase Foundation merchandise. The CFFF will be at the 38th annual convention of the New Brunswick Association of Fire Chiefs at the Qplex in Quispamsis. Drop by our booth to purchase Foundation merchandise or to find out more about the Foundation. 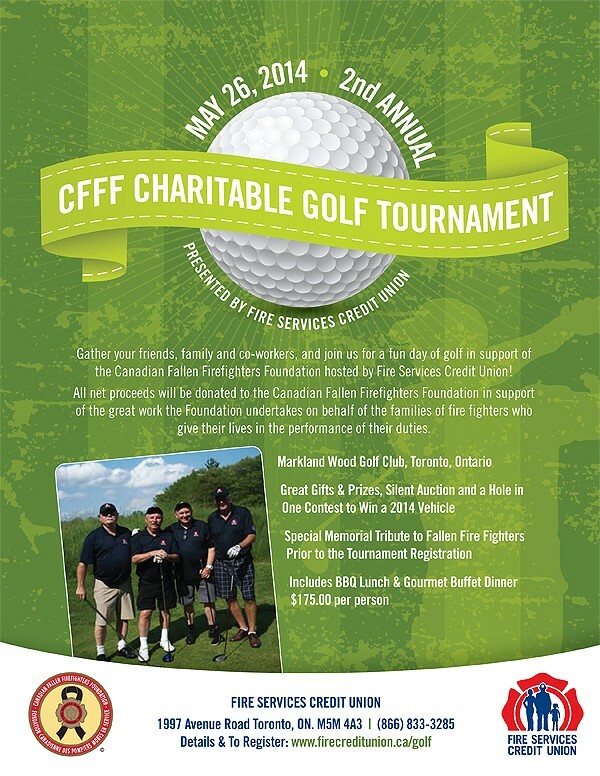 for a fun day of golf in support of the Canadian Fallen Firefighters Foundation presented by Fire Services Credit Union! Post Tournament: Buffet Banquet with Wine, Silent Auction and Awards Presentation. The CFFF will be at the Alberta Fire Chiefs trade show in Red Deer, Alberta. Drop by our booth to purchase Foundation merchandise. The CFFF will be in Sherbrooke Quebec at the Association des chefs en sécurité incendie du Québec annual conference and trade show. Please drop by and visit our booth. CFFF president Robert Kirkpatrick recently attended the House of Praise’s Night of Gratitude 2015 in Mississauga where the congregation gave back significant donations to several charities including the Fallen Firefighters Foundation. The Foundation was overwhelmed to accept a cheque for $10,000 at the event towards the family support work that the Foundation is providing for the families of fallen firefighters. Special thanks to all those who contributed to the Night of Gratitude put on by the House of Praise. The CFFF will be at the Ontario Association of Fire Chiefs trade show in Toronto, ON. Drop by our booth to purchase Foundation merchandise. The 4th Annual Ladders Up for the Foundation will be held on May 2 at the Ontario Association of Fire Chiefs conference in Toronto, ON. Please visit www.laddersup.ca for more information on the party night and on-line auction to raise funds for the Foundation. 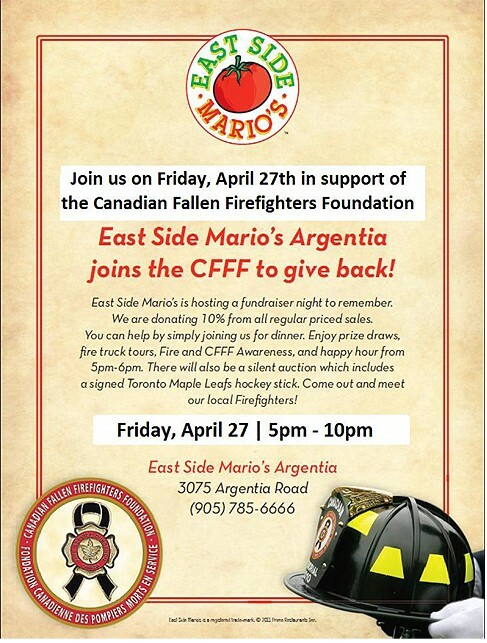 The Boston Pizza CFFF fundraiser will be held on the night of Friday May 1 at the Courtney Park Road Mississauga, Ontario location. Drop by for a great meal and a chance to win great prizes including a trip. Saskatchewan Association of Fire Chiefs annual conference and trade show. The CFFF will be in Swift Current Saskatchewan at the Saskatchewan Association of Fire Chiefs annual conference and trade show. Please drop by and visit our booth. Saskatchewan Volunteer Firefighters Association annual conference and trade show. The CFFF will be in Nipawain Saskatchewan at the Saskatchewan Volunteer Firefighters Association annual conference and trade show. Please drop by and visit our booth. E-MAIL OR TEXT GREG ENRIGHT WITH YOUR FOURSOME AS SOON AS POSSIBLE, WITH MONEY TO FOLLOW. *COURSE LOCATION IS ON OLD BASE LINE JUST WEST OF MCLAUGHLIN RD. Click here for full details on the 2014 ceremony! 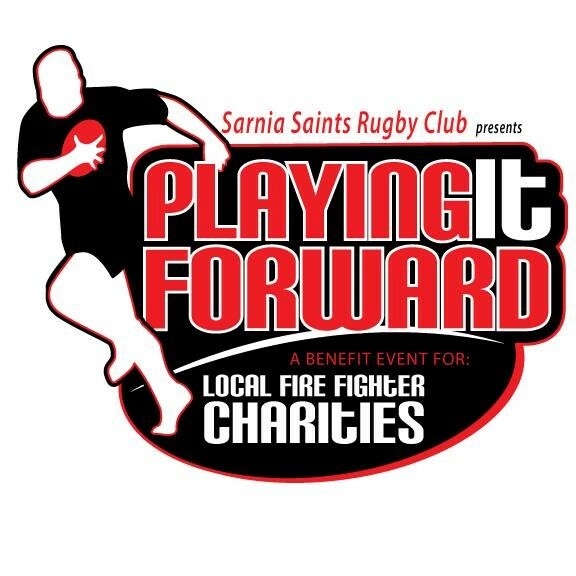 Sarnia Saints Rugby Club presents their "Playing it Forward" Charity Tournament raising funds for the CFFF. Auction takes place on June 13th with game play on June 21st. These open houses are organized to help Brampton Fire and Emergency Services reach out to the community, invite them into their home at the fire station and showcase to high school students why they should consider the fire service as a career. Click here for the poster and full details! Watch for us at the 2014 BC Fire Expo in Victoria, BC. Sunday June 1 and Monday June 2 at the Victoria Conference Centre with the outside displays on Belleville Street in front of the Legislative Buildings. The CFFF would like to extend its thanks to Dave Mitchell & Associates and Smith Brownlee & Associates for sponsoring the CFFF booth again this year. The CFFF will be attending the 37th New Brunswick Association of Fire Chiefs Convention the 30 May - 1 Jun in Dieppe NB. Come out and learn more about the Foundation. The CFFF will be at the Ontario Association of Fire Chiefs Trade Show in Toronto May 4 and 5, 2014. Drop by to see us and purchase CFFF merchandise. The 2014 "Ladders Up for the Foundation" fundraiser will take place May 3 2014 at OAFC, Toronto. 16:30-2000 hrs in the north building at the Metro Congress Centre 650 Dixon Rd. (same building the Trade Show is in). Prizes include a trip for 2 to West Palm Beach for one week and a trip for 2 to any major airport in Canada. Click here to see the list of auction items and place your bids! Click here to see pictures and the full story about the 2013 event! 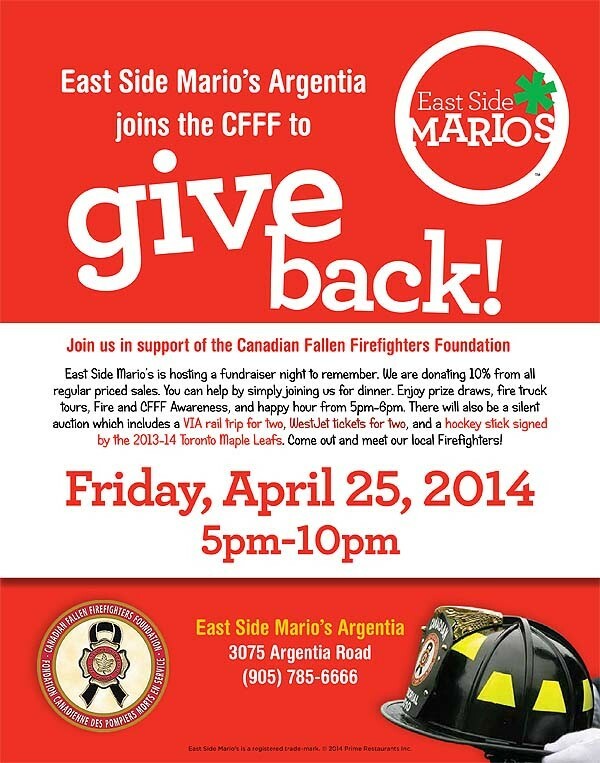 East Side Mario’s restaurant at 3075 Argentia Road in Mississauga, Ontario will hold its annual fundraiser for the CFFF on April 25, 2014. Come by for some great food, prizes and silent auction! The CFFF will be at the Saskatchewan Association of Fire Chiefs Trade Show in Saskatoon April 3 and 4, 2014. Drop by to see us and purchase CFFF merchandise. The fifth annual Hockey for Little Hearts Tournament!! Ottawa Fire Department Hockey will be hosting their 5th annual Hockey for Little Hearts hockey tournament with a portion of the proceeds going to the CFFF. The tournament will take place April 1st to 4th at the Jim Durrell Arena in Ottawa Ontario. This year we will be hosting 5 divisions, "A", "B", "C", "D" and "SUPER REC". Each division will consist of 5 teams with each team being guaranteed 4 games. Hockey trivia guru Liam Maguire will be hosting a hot stove session with NHL Alumni on Thursday evening. Take advantage of the "Early Bird" price of $800 per team ($900 after January 31st, 2014). Entry deadline is March 1th, 2014. 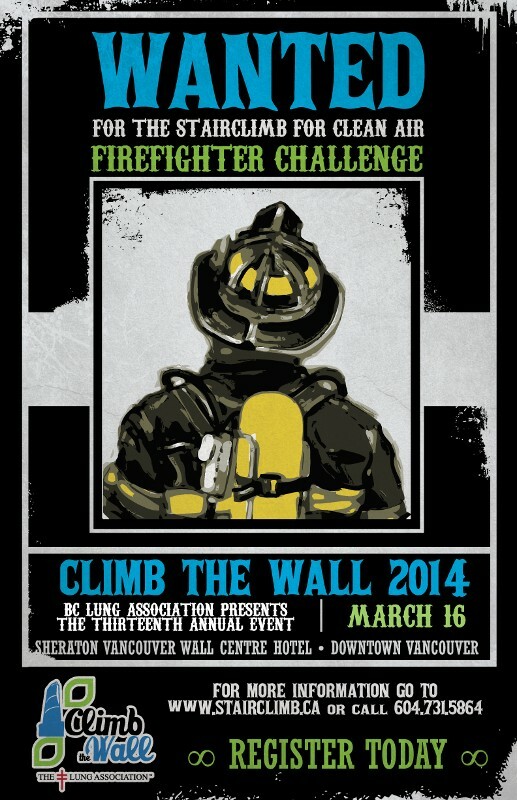 On behalf of the BC Lung Association, we’d like to remind you that on Sunday, March 16th, 2014 the BC Lung Association will be hosting their annual Climb the Wall: the Stairclimb for Clean Air. This year’s event will include 400 participants and over 100 firefighters coming together for a hike up the 48 - storey (739 steps) Sheraton Vancouver Wall Centre Hotel - of one of the highest buildings in Vancouver! As they approach their 13th annual Stairclimb, we’ve realized the event would not be the success that it is today without the continued support of the community and participation of our local firefighters. We would be grateful if you could help spread the word and forward this info to your networks of partners, fundraisers, volunteers, firehalls and of course, firefighters as we continue our climb against lung disease at this year’s event! • Register online at www.stairclimb.ca, by phone at 604-731-5864 or fax the registration form to 604-731-5810. Please let us know if you would like any additional information regarding our event or would like us to send you some brochures and/or firefighter posters. The CFFF is proud to help promote this great event! Big White Fire Department Rooftop Campout Fundraiser March 14th, 15th, 16th. Big White Ski Resort. Register now for the 50th Anniversary Brass Helmet Bonspiel at the Brampton Curling Club! The CFFF will be selling merchandise at the Ontario Fire Buff Associates', 22nd Annual Fire Services Collectibles Show and Sale. Toronto Fire Academy, Eastern Ave. at Knox Ave., Toronto, Saturday, November 2, 2013 from 08:30 to 12:00. Free admission. Sept 23-25 2013. The CFFF will be at the Canadian Association of Fire Chiefs trade show in Regina, SK. Drop by our booth to purchase Foundation merchandise. Sept 6-8 2013, The 10th annual CANADIAN FIREFIGHTERS MEMORIAL CEREMONY will be held in Ottawa, On. On Sunday Sept. 8. See the ceremony web page for details. The 2nd annual Dominos Pizza customer appreciation Day for the CFFF will be held at participating Mississauga, ON Dominos Pizza locations. Visit your local Mississauga store for details. The Fire Services Credit Union Golf Tournament in support of the CFFF. This tournament will take place at Royal Ontario Golf Club on May 29th, 2013. Please click on the image below for full details including Sponsorship Opportunities. You can also download the Registration Form in PDF format by clicking here. May 25-26 2013. The CFFF will be at the B.C. Fire Chiefs trade show in Penticton, BC. Drop by our booth to purchase Foundation merchandise. 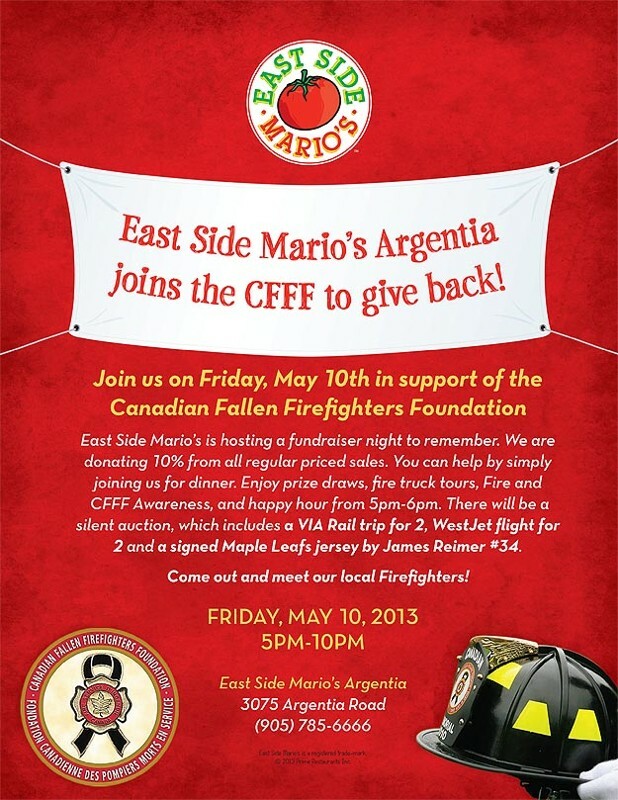 East Side Mario's Agrentia joins the CFFF to give back! Click here to download the full size poster for use at your location! 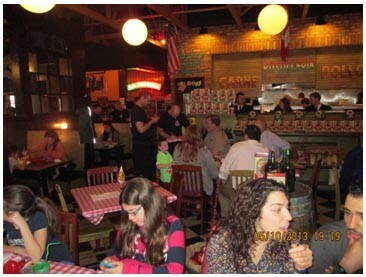 East Side Mario’s is a registered trade-mark. © 2013 Prime Restaurants Inc.
May 5-6 2013. The CFFF will be at the Ontario Association of Fire Chiefs trade show in Toronto, ON. Drop by our booth to purchase Foundation merchandise. Visit the C.F.F.F. booth #1628 at the Ontario Association of Fire Chiefs trade show May 5 & 6 at The Toronto Congress Centre, 650 Dixon Road, Toronto, Ontario. Show times 10am-5pm both days. Special thanks to SAFETEK for sponsoring our booth. Thanks to SAFETEK for supporting the Foundation! Don’t forget the “Ladders Up for the Foundation” fundraiser party Saturday May 4, 6pm at the Double Tree Hotel across the street from trade show. The 2nd Annual Ladders Up for the Foundation will be held on May 4 at the Ontario Association of Fire Chiefs conference in Toronto, ON. Please visit www.laddersup.ca for more information on the party night and on-line auction to raise funds for the Foundation. Apr 4-5 2013. The CFFF will be in Yorton Saskatchewan at the Saskatchewan Fire Chiefs Association 63rd annual conference and trade show. Please drop by and visit our booth. Calgary -- Today at 6:00pm Firefighters and members the public from across Calgary and Alberta will gather to commemorate and remember not only the tragic events of 9/11 but the selfless contributions made by Canada's Firefighters every day. The climb is open to the public and everyone is encouraged to show up to cheer on and climb beside their firefighters. Registration is $34.30 signifying the 343 firefighters who lost their lives on 9/11 and can be completed on arrival. The event will start at 6:00pm at the base of the Calgary Tower with the climb starting at 6:30. Donations can also be made at http://thefirewithin.ca/shop/product_detail.html?id=45. Proceeds raised will be forwarded to the Canadian and National Fallen Firefighters Foundations to help the families of the fallen. Every year the Canadian Fallen Firefighters Foundation awards bursaries and scholarships to the children of our fallen and memorializes and honours their contribution with their families in September. WHEN: TUESDAY, SEPTEMBER 11 BEGINNING AT 6:00 P.M. The purpose of this motorcycle ride will be to respect the Canadian Firefighters that have died in the line of duty and are being memorialized on the new Canadian Fallen Firefighter Foundation (CFFF) National Wall of Remembrance in Ottawa to be dedicated on September 9, 2012. Surrey Fire Services Retired Captain Tim Baillie and Captain Brian Green will be riding to Ottawa to be on hand when the wall is officially dedicated. We will be riding the entire approximately 4600 km there and then back to show our respect for the sacrifices these firefighters made. Riders can join us for as long or as short a ride as you wish. We will be responsible only for ourselves and accommodations as it is impossible to know if anyone will join us and for what length of the ride. All kinds and forms of motorcycles and vehicles are welcome. The last leg is not set as we have to assess the last leg and possibly have a change of an extra day from Toronto Ont to Ottawa Ont. That decision will be made as time nears but people will be welcome to do as they wish. It would be on objective for us to ride into Ottawa as a group to make the experience just that little bit better. Thanks for your attention. This year will be a special year for the Canadian Fallen Firefighters Memorial as it will also include the dedication of the newly constructed memorial. This year's ceremony will take place at the new memorial location. For those in the Nova Scotia area unable to attend the ceremony in Ottawa, consider attending the Red Knights 9/11 Memorial Ride in support of the CFFF. Proceeds in support of Canadian Fallen Firefighters Foundation. BBQ provided by Litters 'N Critters Animal Rescue. Open to all bikers and anyone looking to support the above organizations. June 17th to 23rd. Rules you can live by! The CFFF would also like to extend our thanks to Many To One for their $450.00 donation from sales of their new Paracord Wristbands at the Ontario Association of Fire Chief's Conference. The 4th Annual CFF Memorial Golf Tournament will be held on Saturday, June 9th at Arbutus Ridge Golf Course located on Vancouver Island. Hole sponsorship and player registration information is now available. Come on out to the Brampton Fire & Emergency Services Fire Station Open House! Enjoy a Firefighter BBQ with all proceeds going to the Canadian Fallen Firefighters Foundation! In 2011, at FDIC in Indianapolis, a group of fire-service manufacturers and suppliers attended an event called Stop, Drop, Rock & Roll, a fundraiser for the National Fallen Firefighters Foundation in the United States. The question on our minds was, Why aren’t we doing this in Canada? Ladders Up for the Foundation is the brainchild of Mark Prendergast of M&L Supply. That night in Indy, Mark successfully bid on a commemorative 9-11 helmet that became instantly famous among those attending the conference. 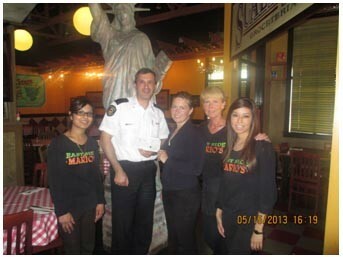 Mark wanted to make the same impact in Canada for the Canadian Fallen Firefighters Foundation. So, a committee was formed. Barry Malmsten and Mercedes Foulon from the Ontario Association of Fire Chiefs (OAFC), Catherine Connolly with Fire Fighting in Canada, Canadian Firefighter and EMS Quarterly, and Firehall.com, David Sheen with Toronto Fire Services and CFFF chairman, Kip Cosgrove with VFIS, and, of course, Mark. This group has worked together for many months to bring this exciting event to life. Many vendors have donated items for auction and we anticipate this event and fundraiser to be a great success. Proceeds will go to the CFFF to help build the monument in Ottawa. Ladders Up will be an annual event at the OAFC conference. Each year we will endeavor to raise money for the foundation, and once the monument is built, the proceeds will go to help the families of fallen firefighters and go toward maintenance of the monument. Below are the details of this inaugural event. Any fire department in Canada can bid on the items. Let’s all work together to build a monument that will truly honour our fallen firefighters. All the efforts of Ladders Up For the Foundation will be celebrated at a fantastic event on Saturday, May 5! Winning bidders for the online items will be announced, and a silent auction will take place. Live entertainment and appetizers will be provided. Come celebrate our success in raising funds and awareness for this worthy cause! 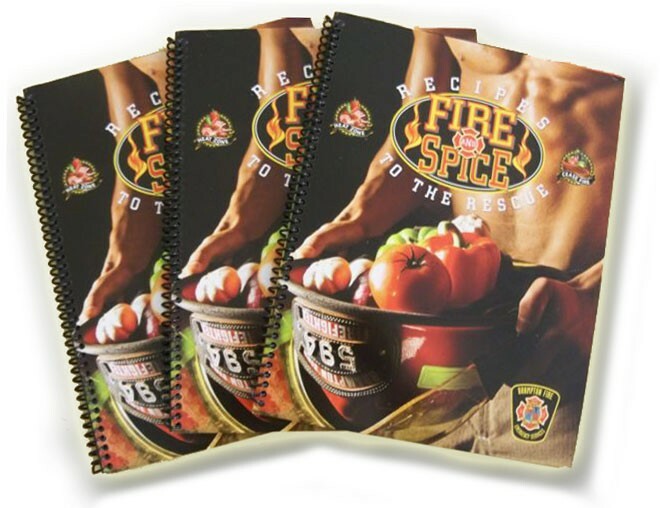 Brampton Firefighters featured in the "Fire & Spice Recipes to the Rescue"
18th) between 6-8 p.m. signing cookbooks and serving food at select tables! and the Canadian Fallen Firefighters Foundation. servers - please call Moxie's at 905-793-1633. 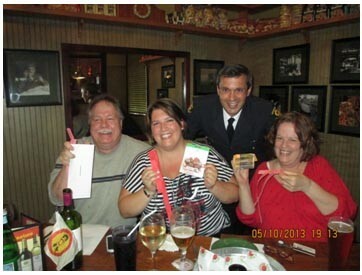 Bid on a firefighter to sit at your table! TicketsTickets can be purchased through the Rose Theatre Box Office. For more information, call 905.874.2800.